PARTNER NEWS: The US$47bn acquisition of NFC pioneer NXP by mobile chip giant Qualcomm will create the “leader of secure connected devices into the next decade” and address the emerging trends of internet of things (IoT), mobile transactions, payment cards, transit, and secure identification. Rumours of the deal — which also looks to strengthen the companies’ presence in advanced driver assistance systems (ADAS) and autonomous vehicles, networking and 5G mobile — began to circulate last month and was today unanimously approved by both boards of directors. The combined company is expected to have annual revenues of more than US$30bn and a management team made up of “senior people from both sides”, it was confirmed in a conference call earlier. 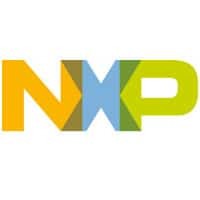 Rick Clemmer, NXP’s CEO, says the need for “expanded computing capability” in the field of autonomous driving and a “broader connectivity platform for IoT” were key reasons to go ahead with the deal. “The combination of Qualcomm and NXP will bring together all technologies required to realise our vision of secure connections for the smarter world, combining advanced computing and ubiquitous connectivity with security and high performance mixed-signal solutions including microcontrollers,” he says. “Qualcomm is an exceptional company with a like-minded approach to that of NXP, in terms of customer-focused innovation,” adds Clemmer alongside Steve Owen, EVP of global sales and marketing. The deal marks the culmination of a growing partnership between the two companies, and will see the share of Qualcomm’s revenue from mobile fall from 61% to a projected 48%, while the share from automotive and IoT rise from 8% to 29%. In 2015, NXP and Qualcomm announced they had entered a strategic cooperation to accelerate adoption of NFC and security in mobile, wearable and IoT devices. Earlier this year, they extended the partnership which saw NXP’s NFC and embedded secure element (eSE) solutions built into reference designs for Qualcomm Snapdragon 800, 600, 400 and 200 processor based platforms to now also include pre-validation for NFC-based transit services, particularly those in China. “The NXP acquisition accelerates our strategy to extend our leading mobile technology into robust new opportunities, where we will be well positioned to lead by delivering integrated semiconductor solutions at scale,” said Steve Mollenkopf, Qualcomm CEO. The deal is subject to regulatory approval and is expected to complete towards the end of 2017.